Popular histories are powerful forces in shaping identity and purpose for all societies. Yet, they rarely do justice to the delicate intricacies of the central questions that the pressing issues of human existence ask of us. Popular history marginalizes some of the most essential questions that we face, and yet, it is often the only history to which many young people are exposed. With this in mind, the primary role of the high school history teacher must be to expose students to a study of history that allows for asking serious, difficult questions about serious difficult events. The nature of humankind, the justifiable use of military force, definitions of race, the roots and motivations of stereotypes – these have been with us for centuries, they are ambiguous and moral to their core, and absolutely necessary for human development and progress. Like many history teachers, I begin my year by asking students to consider a series of questions about the nature of history. One of the questions that I always ask is very simple – Why do we study history? Invariably, the first answer from students is that we study history to learn from our mistakes. This answer, to be sure, is justifiable. Yet, students often come to the conclusion that the study of history has several valuable purposes that require deeper reflection and analysis – and they are right. First, history is about learning from our successes – learning from the times when people have struggled to survive against all odds; when small groups of people have come together to define themselves in the face of adversity and ultimately been victorious. This memory was displayed to me on my second day of class this year when, after having mentioned Auschwitz-Birkenau in our first class, a young man approached me with a picture of a recent visit that he had made to Poland. The image was one of his brother carrying an Israeli flag through the gates of Auschwitz. He said that it served as a reminder that the Jewish people were ultimately victorious over, what he termed, “the worst atrocity in the history of modern man.” He went on to say that the picture reminded him of the commonality of humanity and the commonality of human struggle, since we are still struggling to make sense of this event and its meaning today. This young man had found a repository for his historical identity, taken from what is certainly the most heavily planned, systematic attempt at genocide in recorded history, and applied it to his world – the purpose for the study of history on display in my classroom. This victory, the victory of the Jewish people over absolute tyranny and destruction, is the ultimate testimony to those millions who did not survive – this is their legacy to my student and the millions in the world who draw meaning from the memory of the Holocaust. This, first and before anything else, is why we study the Holocaust. The second conclusion that my students often come to is the importance of what educators will often refer to as divergent thinking, or the potential to consider ambiguous answers to seemingly simple questions. Answers to questions like the role of collective guilt for all Germans in the Holocaust cannot be answered, or even discussed, without recognizing that societies always have layers of participants who react to things differently. People rarely act collectively in one single way for anything. Recognizing the people, in Germany or Denmark or throughout occupied Europe and beyond, who risked their lives to save others from the horrors of the Nazis is one stark way of showing that human nature is ambiguous. On a larger level, the recognition that the Holocaust, no matter how unique, is only one of multiple genocides in our modern history, and that genocide is not relegated to one region or one ethnic, national, racial, or religious group, can help students come to terms with the realization that we all have the potential to take part in something as gruesome as genocide – this is a humbling realization and should help students consider their own potential, for good and bad, in the world. The third conclusion that students come to is that history is defined by perspective. 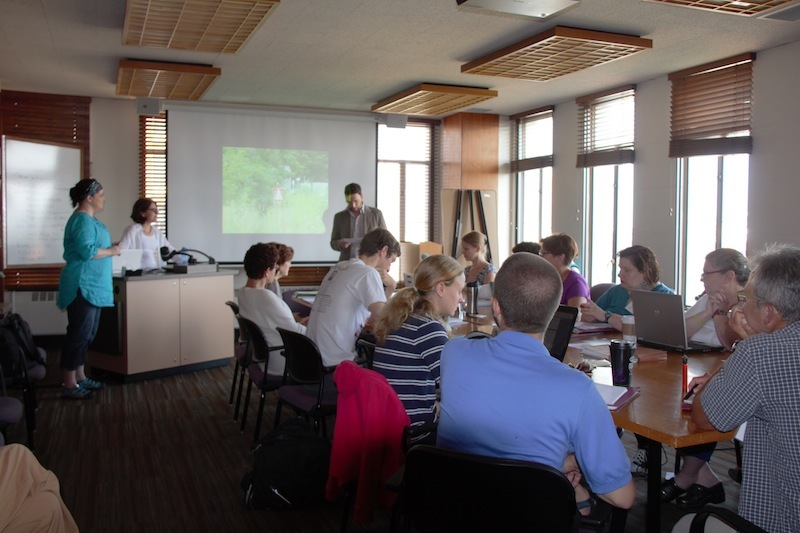 When I had the opportunity to attend the Holocaust in European and American Memory Summer Institute at the University of Minnesota in July of this year, one of the most striking discussions for me centered on the different ways in which male and female Holocaust survivors remembered similar experiences. The idea that people who had experienced the same treatment, for the same reason, by the same people could remember things in absolutely different terms was a great example of the necessity for understanding divergent thinking. The recognition that people have different memories and therefore different definitions of the world is a mark of emotional maturity and intellectual development, and is an enormous component in making historical study a creative process – one of purposeful self-exploration and questioning. The study of the Holocaust is a vehicle to force students to recognize the importance of perspective and ambiguity in the world. It serves as a reminder that even the most heinous acts and tragic experiences have a meaning and a message. It provides a medium with which to illustrate to students that history can be a story about triumph and success. Most importantly, it is a vehicle to force students to grapple with moral abstractions in their own lives. Questions that revolve around collective guilt or the acceptance of harmful stereotypes are things that high school students deal with on a daily basis – they often times know what is right in abstraction, but have trouble projecting these values in the real world. Understanding and discussing these same problems through the historical context of an event like the Holocaust forces students to recognize that these issues are transcendent, that they have been around for a long time, and that they apply to our real world, right now. Dawson McCall is a Social Studies teacher in Louisiana, who attended the CHGS Summer Institute: Memory of the Holocaust in Europe and America held at the University of Minnesota July 8-11, 2013. A follow up to the institute is scheduled for Saturday, November 9 on the 75th anniversary of Kristallnacht on Commemoration and Memory. Information on the workshop will be posted on the CHGS homepage soon.